Just as coffee begins to hit a plateau, you find interesting coffee options to draw you back into the coffee drinking game. 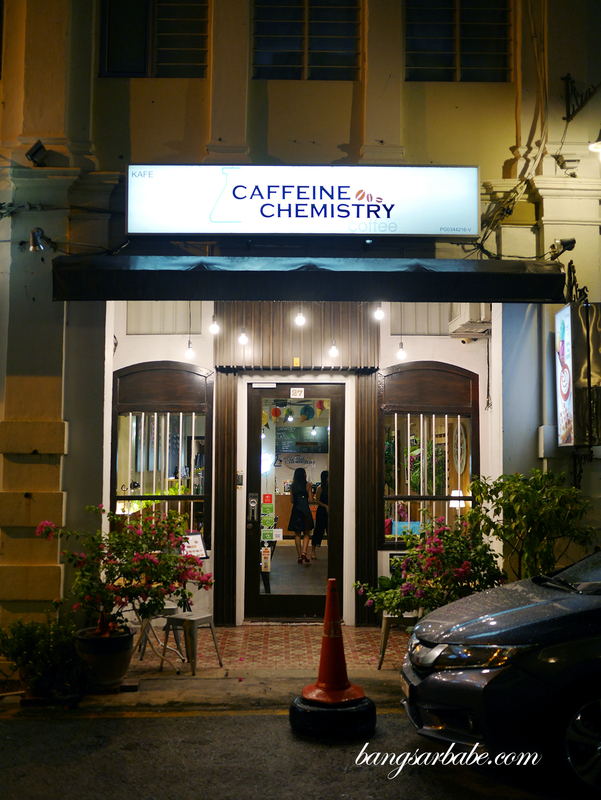 Like the one I tried at Caffeine Chemistry Coffee in Nagore Road, Penang two weeks ago. 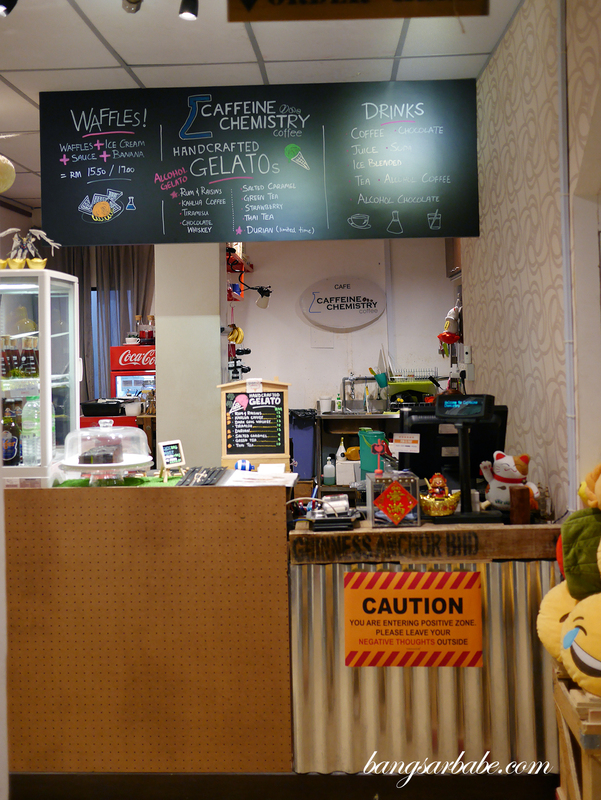 The café serves coffee beans from Catunambu but what interests me in giving them a try is their alcoholic coffee. 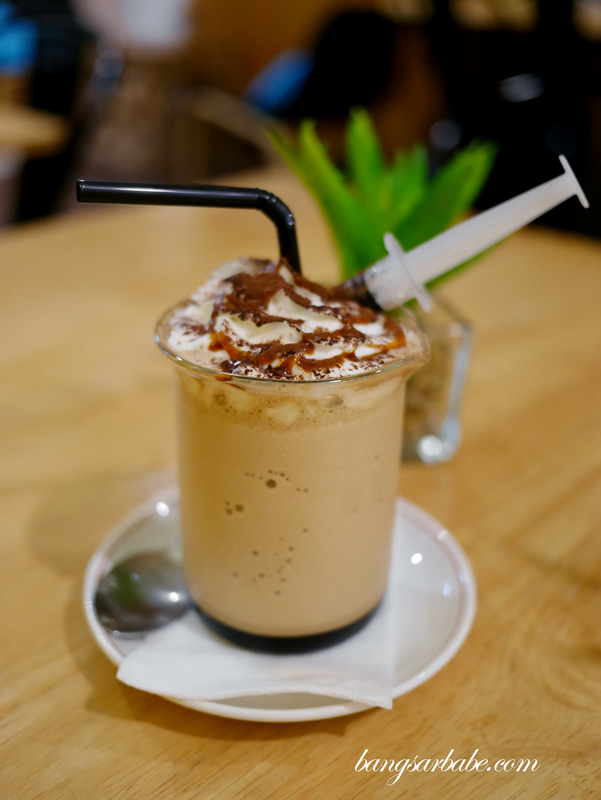 Namely the Frozen Tiramisu (RM20) which features a shot of Kahlua in ice blended latte. Most places are able to replicate this quite easily but the beauty of Caffeine Chemistry Coffee’s version lies in presentation and also flavour. The ice blended had a good dose of coffee flavour and I liked how the ice shaving is fine, allowing the kahlua to stand out. 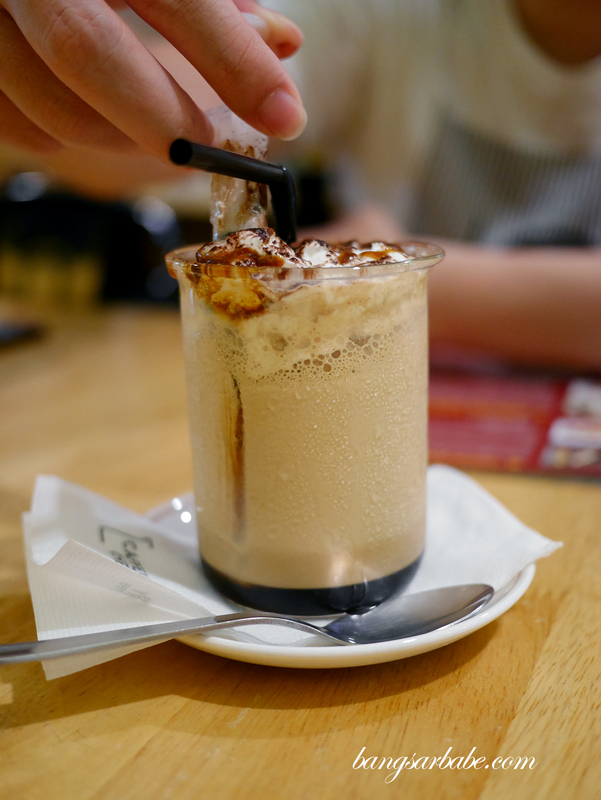 Think of it as tiramisu ice blended, without the mascarpone. I was told the Hot Baileys Irish Latte is also good as it comes with two shots of alcohol, but that will have to wait for my next visit. I ordered their Gula Melaka and Coconut Ice Cream ice blended (RM15) which happens to be a signature. 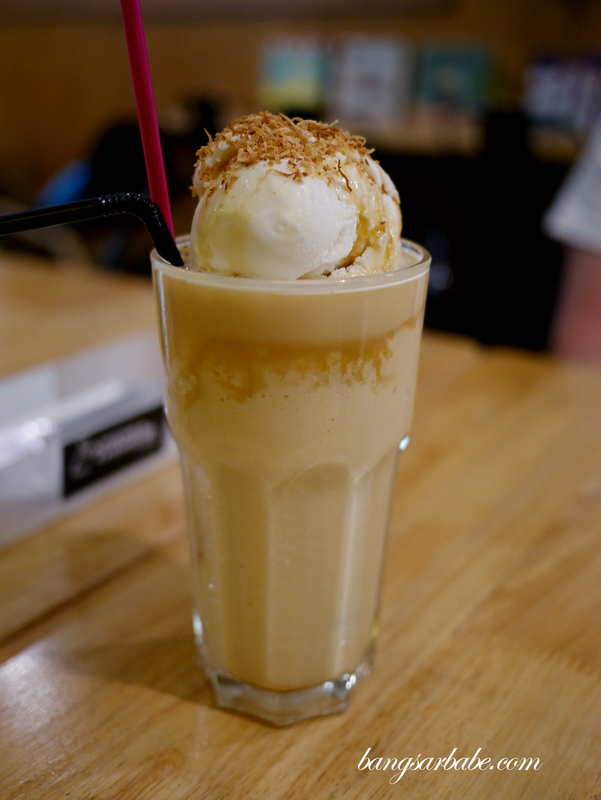 Good combo, as the nutty, vanilla notes from the coconut ice cream pairs well with the Gula Melaka ice slush. 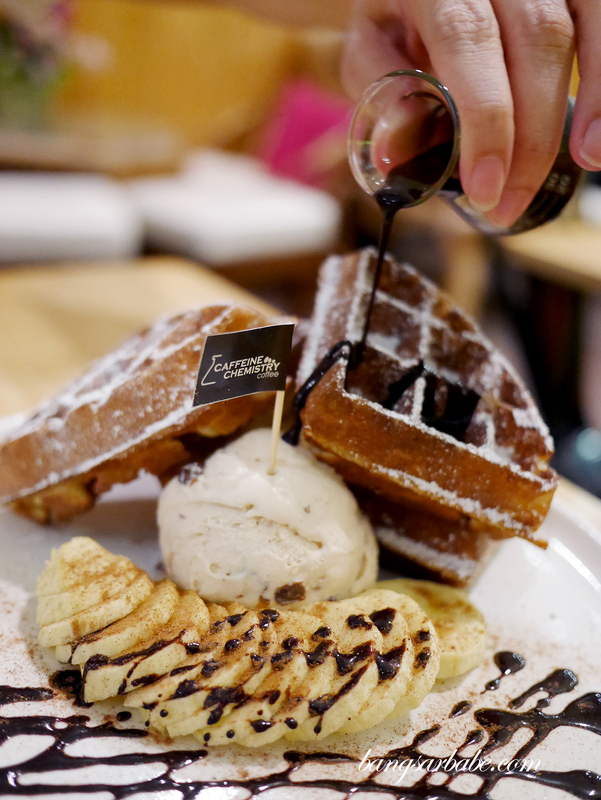 Their waffles are worth checking out if you’re into sweet endings – we opted for the regular waffle set (RM15.50) and upgraded our ice cream to a scoop of rum & raisin gelato (add on RM8). 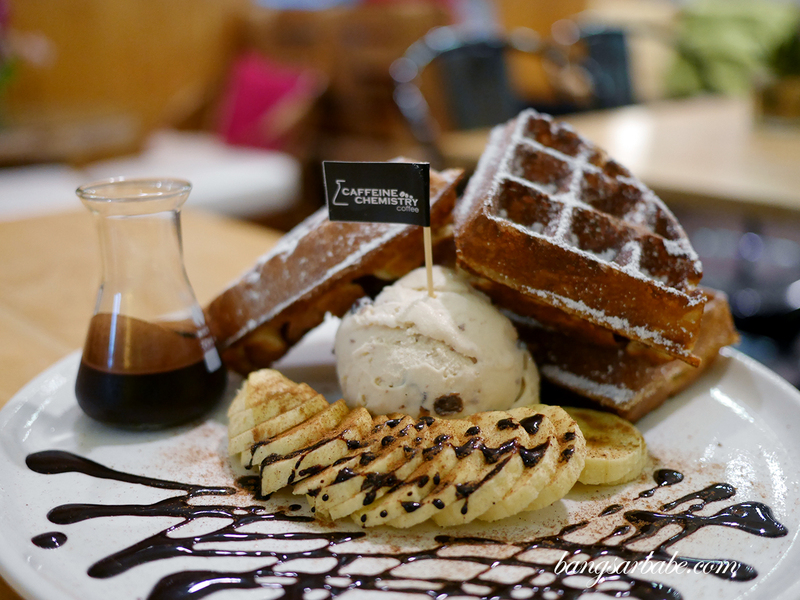 While the waffles aren’t the best I’ve tried, the combination was quite good. 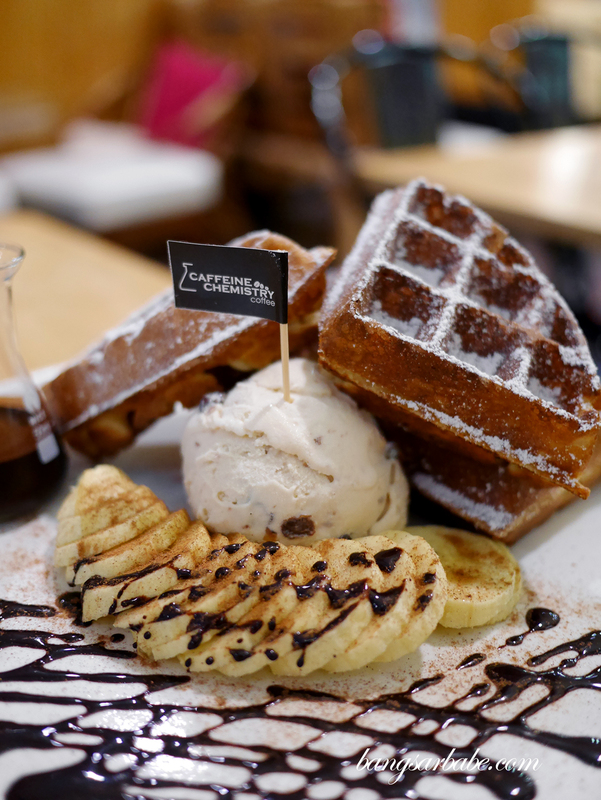 You get a nice crunch from the waffles, and a bittersweet finish from the chocolate sauce, which complements the rum & raisin ice cream. 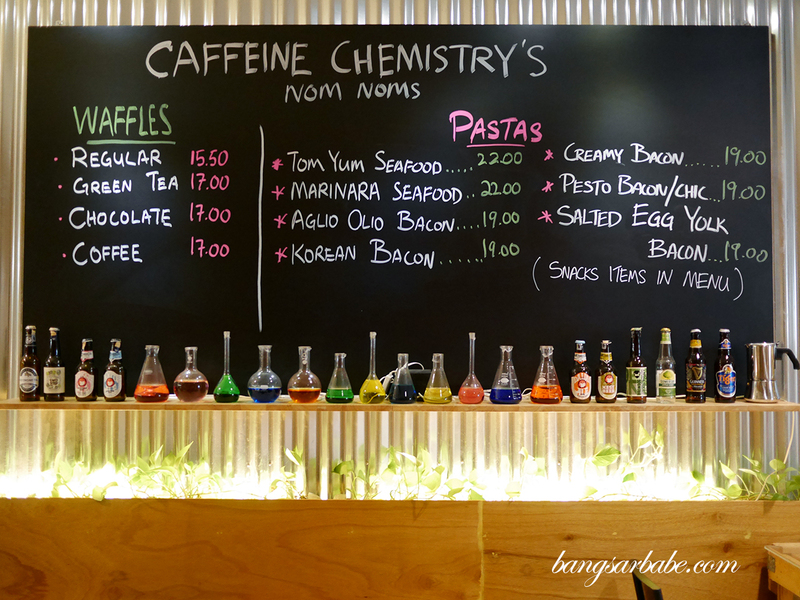 Caffeine Chemistry Coffee also serves hot food – we tried the pasta with salted egg yolk pork bacon (RM19) and rather enjoyed it. They make this ala minute so it might take time, but you’re rewarded with a plate of aromatic pasta, coated in thick salted egg yolk gravy with bits of fatty bacon bits. 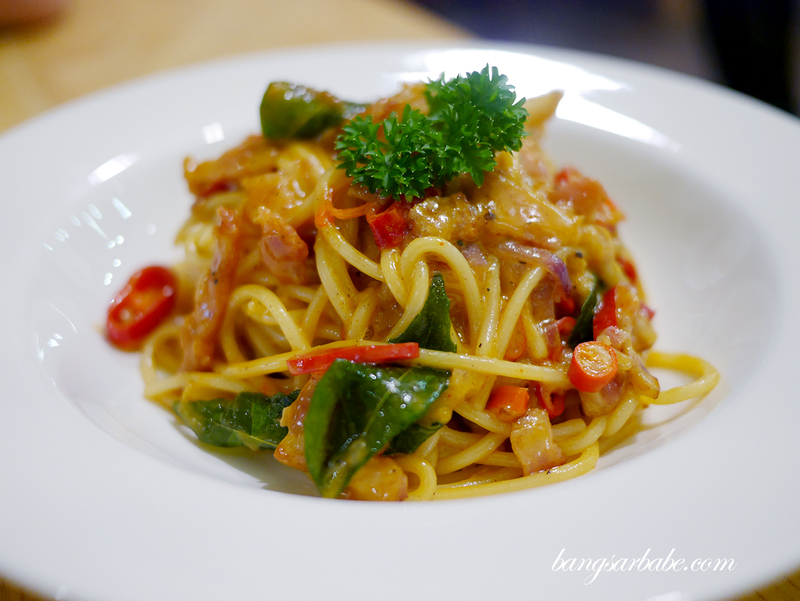 There’s an option of spicy or non-spicy – we opted for the former as chilli helps offset the richness of the egg yolk. 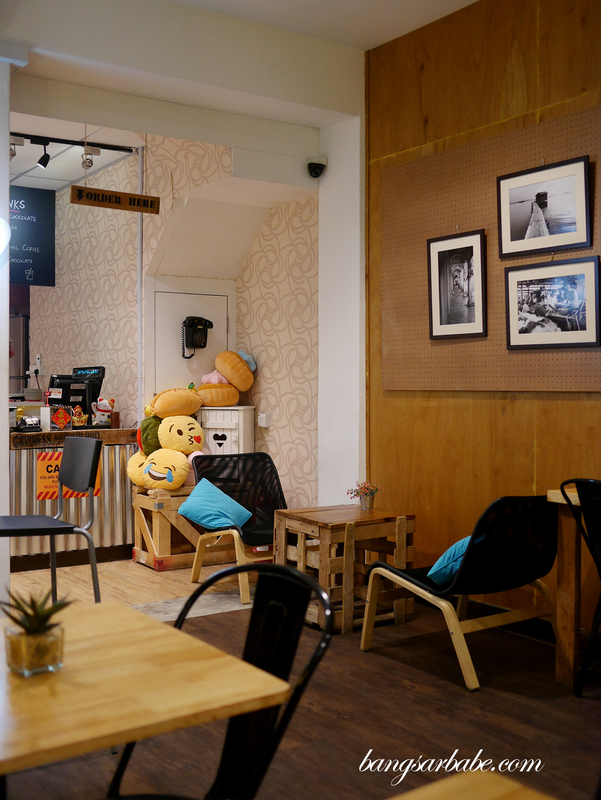 I was told they get pretty packed over the weekend but since we were there on a weeknight, Jien and I got to enjoy plenty of peace and quiet over a good coffee session. 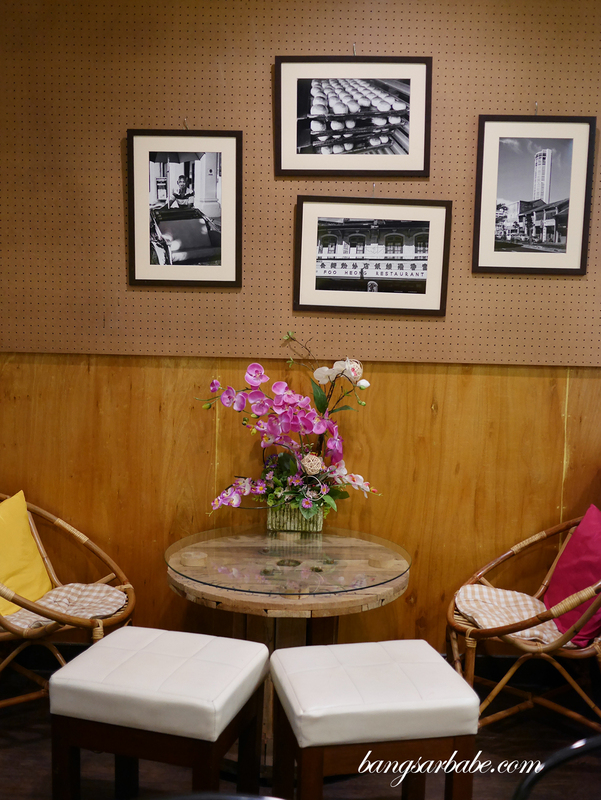 If you’re looking for a decent café in Penang, try this. 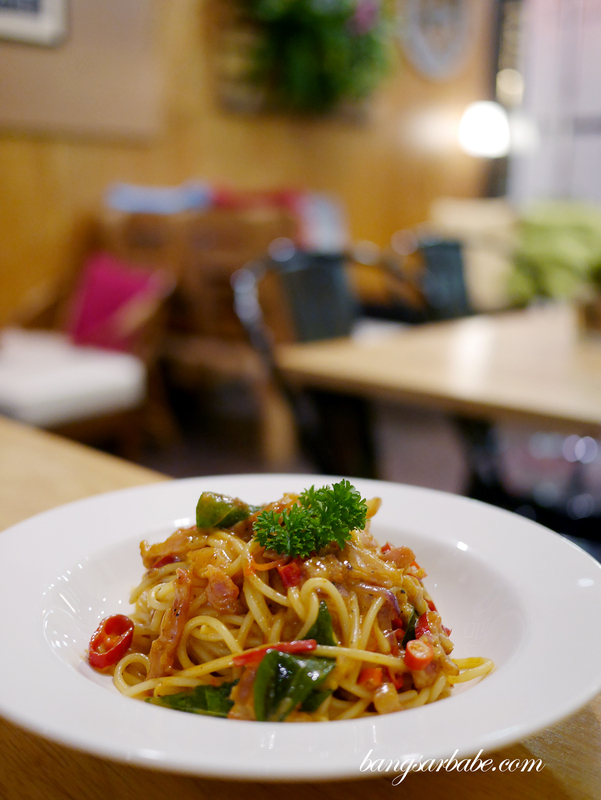 Verdict: I like the frozen tiramisu and salted egg yolk pasta.